I can’t believe that only a few short months ago (four to be exact) I began my journey to become a licensed nail technician. This is a bittersweet moment for me. I am excited to be done (the commute was torture) but sad that I am no longer a part of the May 2010 nail class at Tricoci University. I have learned so much fundamentally and even more about myself and my work ethic. Before entering the program I was impatient and quick to move on to the next thing if what I was doing didn’t work for me. Learning nail technology has taught me to be patient, understanding, confident and more vocal. These are life lessons that I will keep and cherish with me forever. I would say to anyone who is thinking about becoming a nail technician to DO IT! Not only will you learn about nails, you will learn about yourself and make some interesting friends while doing so. 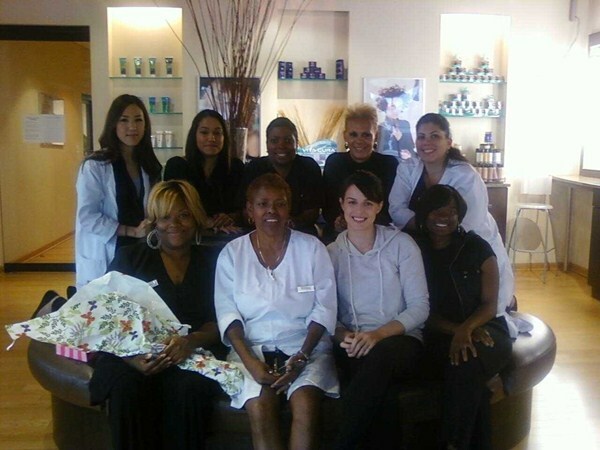 Salute to the May 2010 Nail Technology class at Tricoci University! We did it! !